Stunning light and landscape looking south from Glen Dubh Lighe (not far from the iconic Glen Finnan) to the Hills of the Sunart Peninsula. 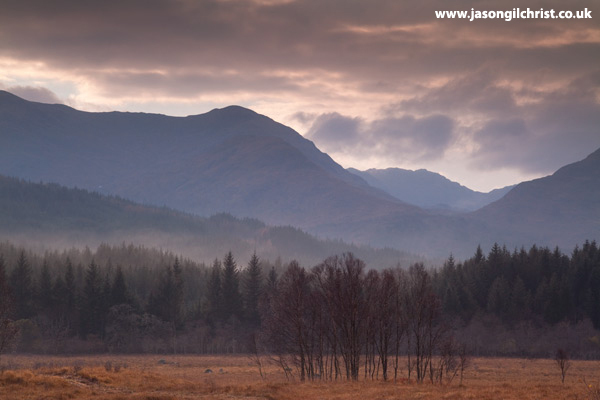 I love this image; the colours, the drama of the hills, the stormy sky, and the mist gathering over the trees. An unforgettable moment in time.